Since we've started a little bit on our video roll, we decided, why not add one more!? This time, it is such an honor because we both get to collaborate with our favorite blogger, Roseanne Tang! :) I'm sure many to all of you know her, because how could you not!? She's just the sweetest, most beautiful girl you'll ever meet - and we know that because she invited us into her very magnificent house to film this! We were originally supposed to film a "What would you tell your younger self?" with another friend of ours, Renee, but she's been under the weather (poor thing!). 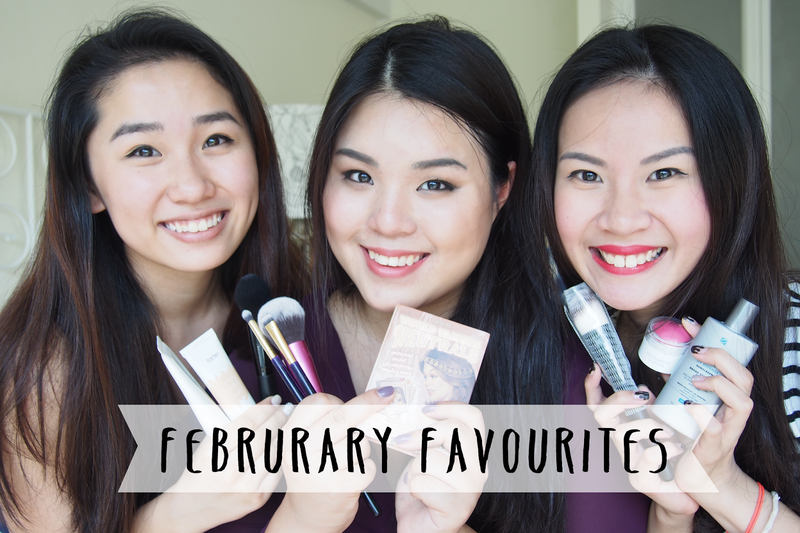 So we decided to do a February Favorites post instead! Since there's three of us, we'll just be doing three products each so it won't take up too much time. 1) 13Rushes powder brush, pencil brush, mini smudger and the blending brush // (depends on the set you've selected! Tag: My Boyfriend does my makeup challenge!